Marvel MadPax Spider-Man Backpack | Nerd Much? Spider-Man is widely considered one of the best superheroes ever created. He ranks among the top three most popular heroes, alongside Batman and Superman. As Peter Parker, he’s a little shy, a little nerdy, and a little awkward with the ladies, but once he puts on that costume and becomes Spider-Man, he’s ready to stop the villains of the city. 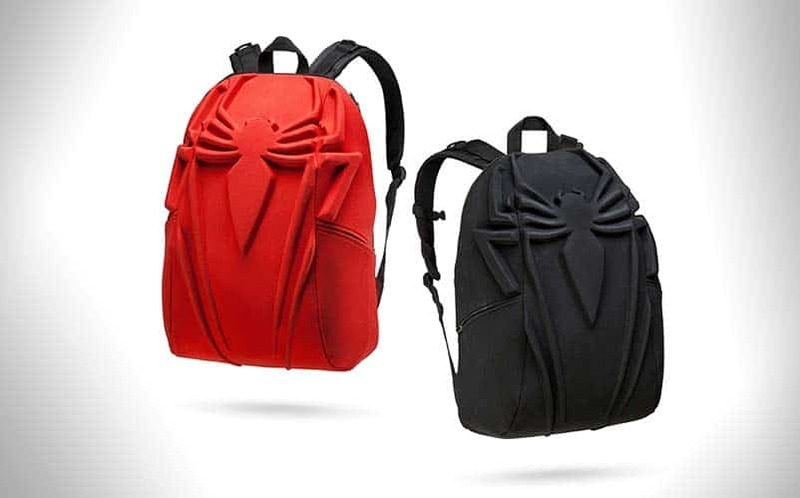 One great addition to the Spider-Man costume would be a backpack, and if Spidey had a backpack, it’d be this: the Marvel x MadPax Spider-Man Backpack. The backpack measures 18″ x 14″ x 8″, with a dedicated padded laptop/tablet sleeve for smaller laptops. There are two color variations available, black or red, and it’s officially licensed by Marvel. The spidey backpack looks like something right out of a Marvel movie, with a large Spider-Man logo proudly emblazoned on the back of it. Sure, the price might be slightly steep at $85, but it’s a backpack that will make you feel like you were bitten by a radioactive arachnid, yourself. The pack is available and in-stock at ThinkGeek right now, so if you’re looking for some cool nerdy backpacks to head back to school with, they’ve got you covered. Buy the MadPax Spider-Man Backpack here. For more cool nerdy stuff, stay tuned to Nerd Much. You can also follow us on Twitter, Instagram, and Facebook for the latest geeky finds.